This air fryer has a capacity of 2.2 litres. It comes with a removable pot that has a non-stick coating so food items don't get stuck to it. 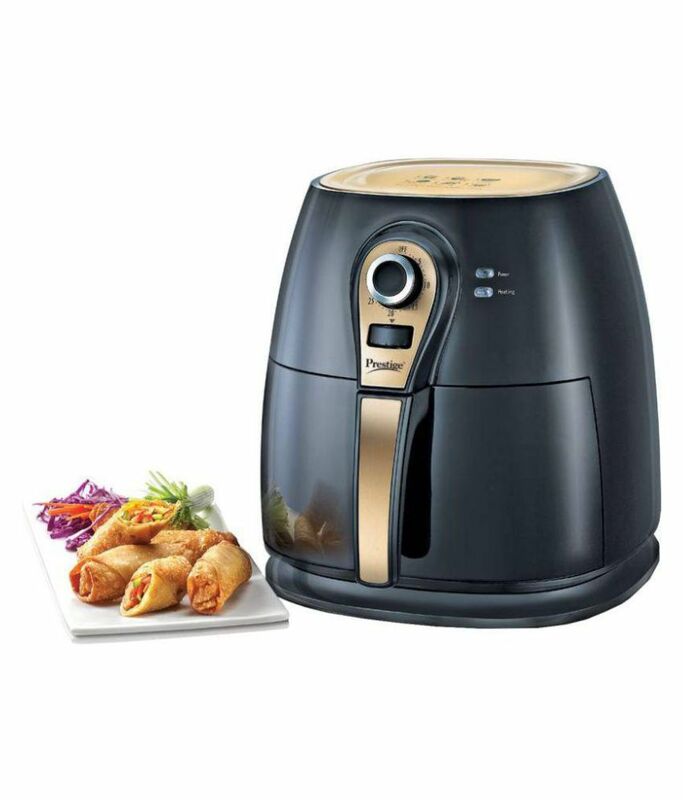 Enjoy the health benefits of oil-free cooking by using this air fryer. The inside of the removable pot is provided with a non-stick coating to prevent the food items from getting stuck to the cooking surface. To Recieve updates and possible rewards for Prestige PAF 3.0 G please sign in. To Recieve updates and possible rewards for Air Fryer and Tandoor please sign in.